Before continuing reading this entry, please take a look at Sort Times – Part II. In particular take into consideration the comments in italics. The number of random double values used per test is 1,000. With such lower count Shellsort appears to run faster when compared with Quicksort. 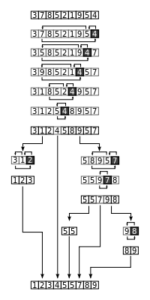 The arrays hold Double objects (not double primitives). When the number of elements in the test array increases to 10,000 Quicksort is faster than Shellsort. The same seems to hold true when the number of entries increases. I tried up to 2,000,000 entries. Not sure what would happen with larger counts. 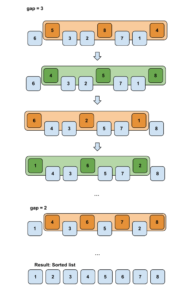 Understand the performance and limitations of sorting algorithms. Keep around tested implementations of sorting algorithms. Always test the selected sorting algorithm using typical data. Always compare sorting algorithms to make sure they perform as expected. 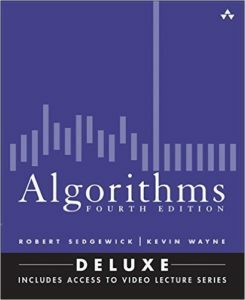 Let academics determine the performance characteristics of sorting algorithms. If needed, interface to sorting algorithms written in more efficient languages (e.g., C). If you have comments or questions in this or any other blog entry, please send me a message via email. I will not disclose your name unless you explicitly let me know.